Visible, IR, UV, Multispectral and now SWIR. Metaphase continues to lead the machine vision LED illumination market with innovative products that utilize the latest in LED technology. 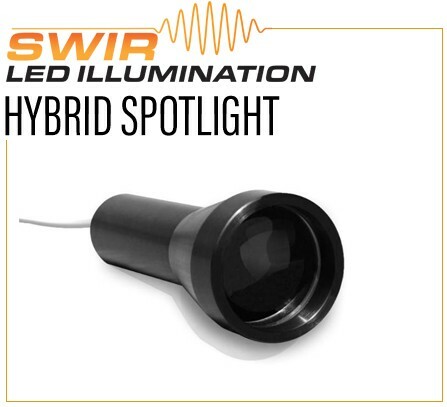 SWIR, typically defined to be wavelengths included in the 900nm to 2500nm range, is another tool that can be used to find defects in objects where typical UV, Visible and IR illumination do not provide the necessary contrast. Like visible light, different materials will absorb and reflect SWIR. Applications include inspection of fruit (bruising), solar cell & semiconductor wafer inspection, anti-counterfeiting, leak detection, presence of coatings, fill level, moisture presence, etc. Short-Wave Infrared (SWIR), typically defined as wavelengths in the range of 900nm to 2500nm, is now offered in the Metaphase Dome Light. Short-wave infrared technology provides the necessary contrast to illuminate test objects that visible and ultraviolet light cannot provide. 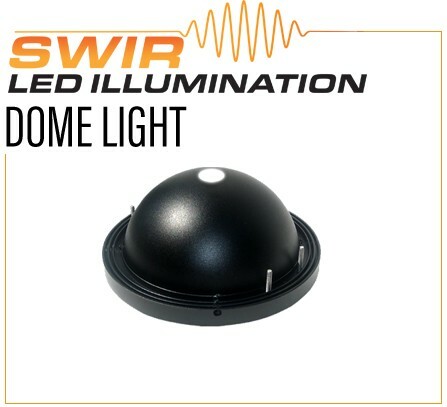 The SWIR Dome light provides intense, evenly diffused illumination that is ideal for highly reflective, specular objects. Short-Wave Infrared (SWIR), typically defined as wavelengths in the range of 900nm to 2500nm, is now offered in the Metaphase Spotlight. Short-wave infrared technology provides the necessary contrast to illuminate test objects that visible and ultraviolet light cannot provide. 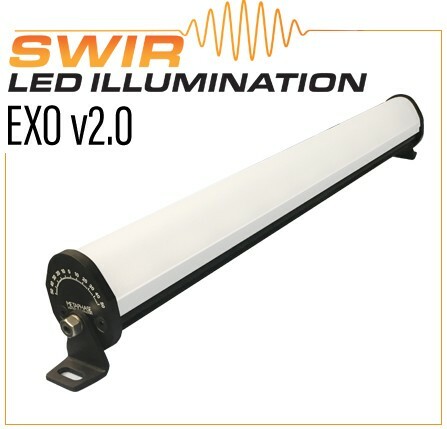 Short-Wave Infrared (SWIR), typically defined as wavelengths in the range of 900nm to 2500nm, is now offered in the Exolight v2.0 model. Short-wave infrared technology provides the necessary contrast to illuminate test objects that visible and ultraviolet light cannot provide. 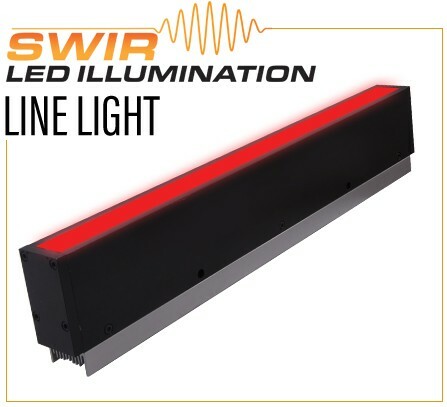 Short-Wave Infrared (SWIR), typically defined as wavelengths in the range of 900nm to 2500nm, is now offered in the Metaphase Backlight. Short-wave infrared technology provides the necessary contrast to illuminate test objects that visible and ultraviolet light cannot provide. 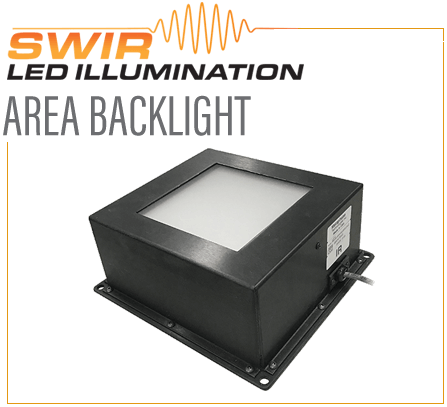 The SWIR Backlight is a high performance and uniform light source for silhouetting and transmissive applications.